The Bandar Seri Begawan Municipal Council has named several relatively new roads and renamed some of the more established ones recently. 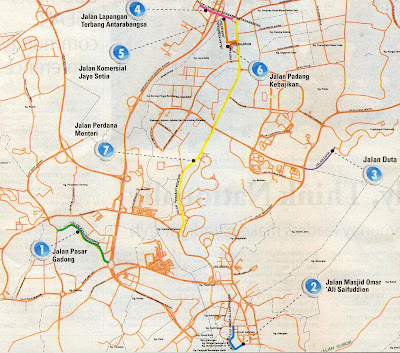 NO.1 : Jalan Pasar Gadong - Starting from the traffic light at Jalan Babu Raja until the exit of the Kiarong roundabout. This one is easy, the road passing in front of the wet market in Gadong. NO.2 : Jalan Masjid Omar Ali Saifuddien - Starting from the traffic light at Jalan Elizabeth II near the Madrasah Building until the traffic light at Jalan Pretty and Jalan Sultan. This stretch of road has not been named ever since it was built in the lat 1990s. It is nice to see this stretch finally having a name. Last week, the Brunei Numismatic Club, an online facebook club, with about 600 members decided to suspend any trading among members, the Brunei Star coin. There were too many fake of those coins circulating. 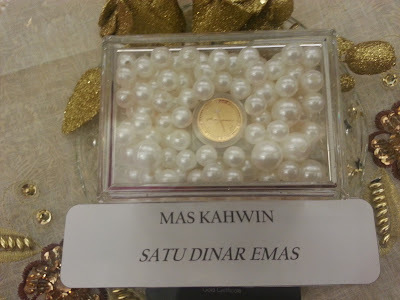 Among coin collectors in Brunei, the star coin or duit bintang as it is popularly known, is a must to have among one's collection. The coin issued by Sultan Hashim in 1886 was the first modern coin before the 1967 coin issued by Sultan Omar Ali Saiffudien. The star coin was minted at the Birmingham Mint. Prior to the Sultan Hashim's star coins, the previous Sultans issued coins known as pitis. These were minted or rather made locally by Bruneians. The star coins were made entirely out of copper, whereas the previous coins were generally iron.